How does sommelier certification prepare somebody for amateur sleuthing? Part of the sommelier exams involve blind tasting where a sommelier will use his or her deductive wine skills to identify a wine. At the beginning of the blind tasting process, each glass of wine is a mystery and it’s up to the sommelier to solve it. They take all of the clues (color, scents, and taste) and narrow it down to the correct wine. I feel like it’s the same for amateur sleuthing—gathering the clues and figuring out the mystery. 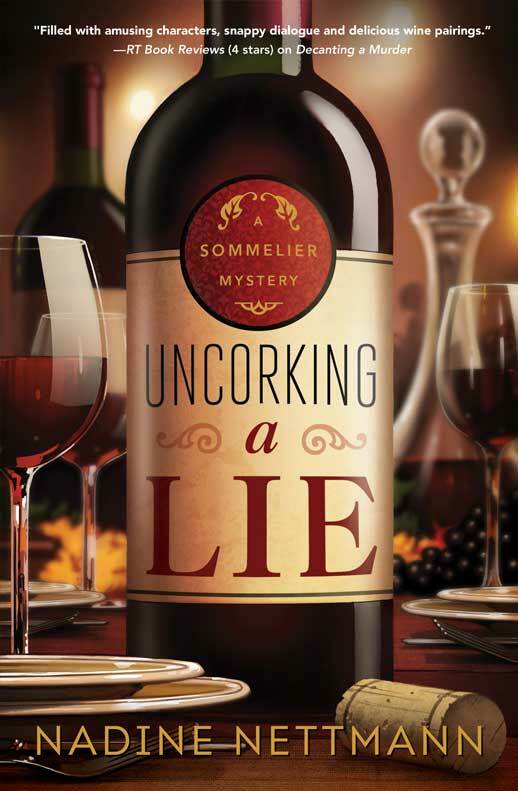 What does Katie get up to in the second book in the series, UNCORKING A LIE? She’s invited to a dinner party where she quickly realizes the $19,000 bottle in front of her is not what it says on the label. She confides in someone at the party and, well, murder and mayhem ensues. Was it more difficult writing the first book in this series or the second? How did you evolve as a writer between the two? It was more difficult to write the second book in the sense of time pressure, but easier because I had definitely evolved as a writer. I learned a lot between the two books about pacing and character development and I also gained a little confidence because I had already written a book that was published so I felt I could do it again. But the amount of time, or lack thereof, definitely made the second book harder. You are also a certified sommelier. What is tougher—studying for that certification or writing a novel? Both are pretty tough, but I would say the primary difference between the two is that the sommelier certification is completely on you and your dedication to studying and applying yourself. With publishing a book, so much of it depends on other people such as querying the right agent at the right time and finding an editor who is looking for your book at that exact moment. There’s a lot that’s out of your hands and depends on timing. That being said, I think it’s fair to say that both processes involve a fair amount of wine. 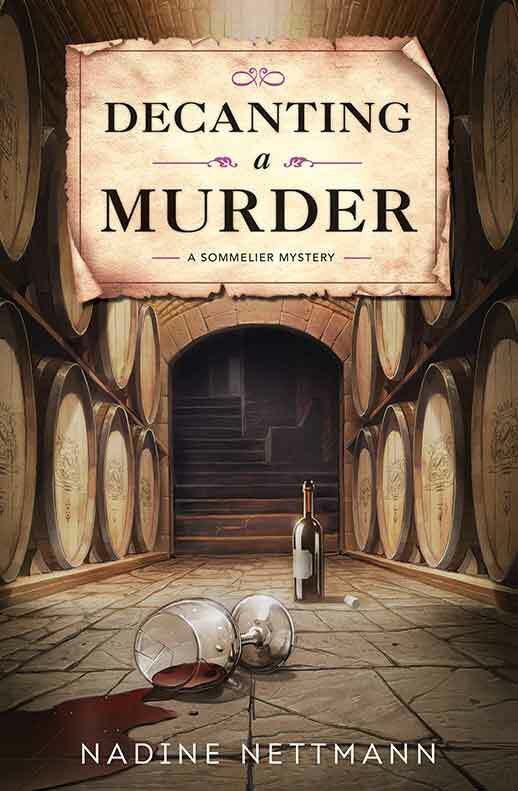 Any other mystery authors writing about wine that you would recommend? There are several that I would recommend but I’ll spotlight just two—Carlene O’Neil and Ellen Crosby. Both Carlene and Ellen are great storytellers who write wonderful books. Carlene and I had a lot of fun on a panel at Left Coast in 2016 where we discovered we had both set our murder scenes in the exact same place in earlier drafts so we had a good laugh about that. What wine pairs best with an Anthony Award nomination? What special bottle would you uncork if you won? The best pairing is a bottle that involves surprise, excitement, and honor so I’ll say Champagne. 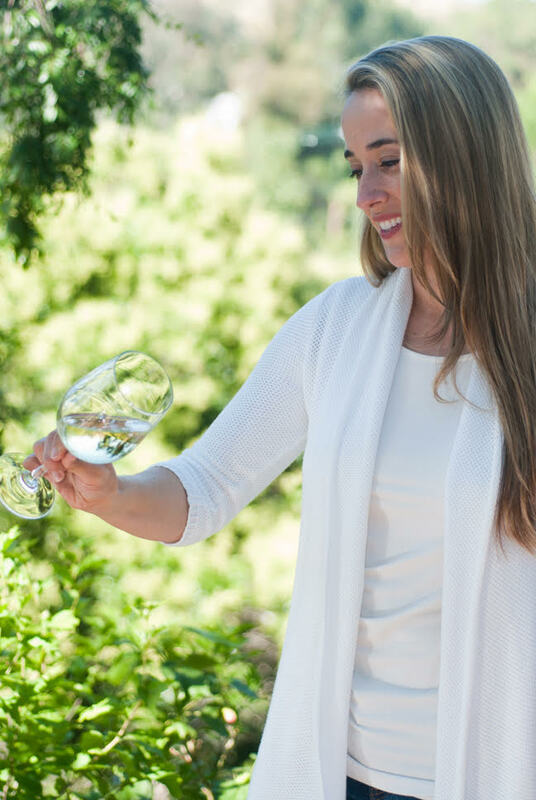 The bottle is practically filled with excitement ready to pop, there’s always a surprise with the cork (unless you open it silently as you have to do in the sommelier exams), and there’s a long history and honor with the Champagne process. As for a special bottle if I win, I’m not sure what I would open when I got home—probably a bottle of Jean Vesselle Champagne that we’ve been saving since a trip to France in 2011 (the cellar walls really are made from chalk). But I would definitely open up something to share at Bouchercon, most likely an ice wine. They’re super sweet, delicious, and we’ll be right near the region known for them. I’ll probably open both ice wine and Champagne no matter what happens as it’s such an honor to be nominated and I want to celebrate everyone’s successes. I’m currently editing the third Sommelier Mystery, PAIRING A DECEPTION, which will release in May 2018. And I’m writing a standalone domestic suspense that will hopefully go on submission later this summer or the early fall. I’ve been working on it for several years so I’m really excited it’s almost ready to go out. And as for beyond, I want to write as many books as I can. I’ve wanted to be a writer my entire life and I hope to continue writing for a very long time.